For Super Bowl 50 I was asked by local news station WFRV to take part in their parent company's national CBS Golden Helmet Campaign. 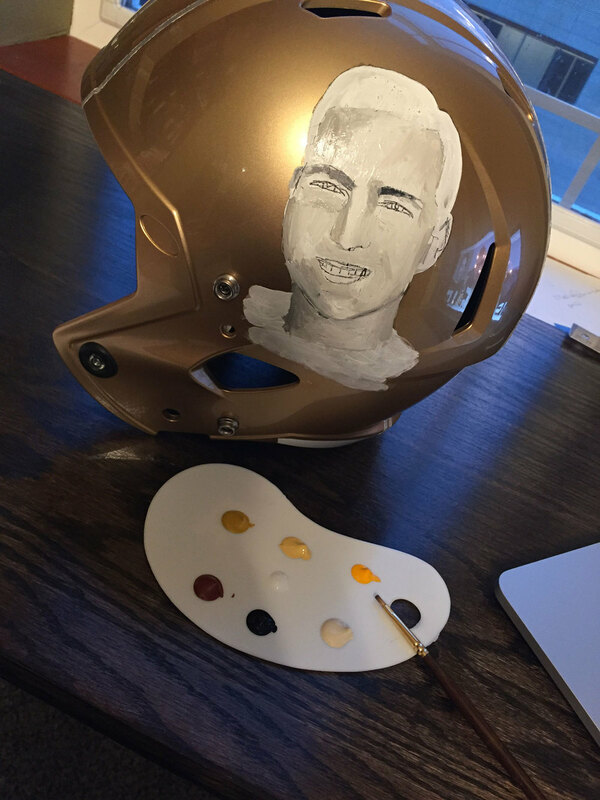 Each CBS station across the country was given a plain golden football helmet to give to a local artist to paint and then auction off for charity. 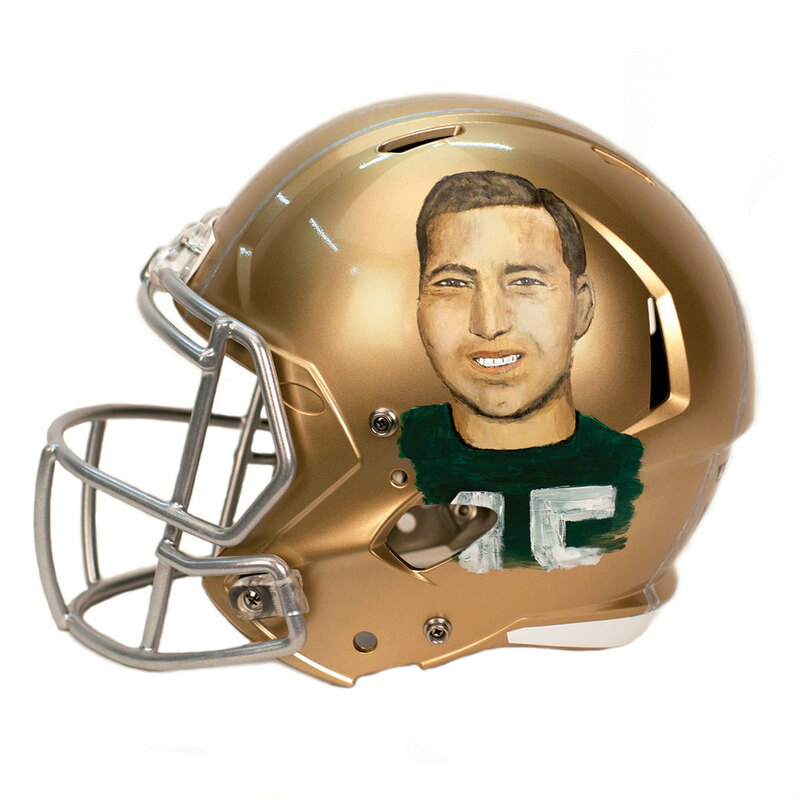 I partnered up with Rawhide Boys Ranch for my charity and chose to do two paintings of Packers Legend Bart Starr since he has contributed over $1 million to the Rawhide over the years. 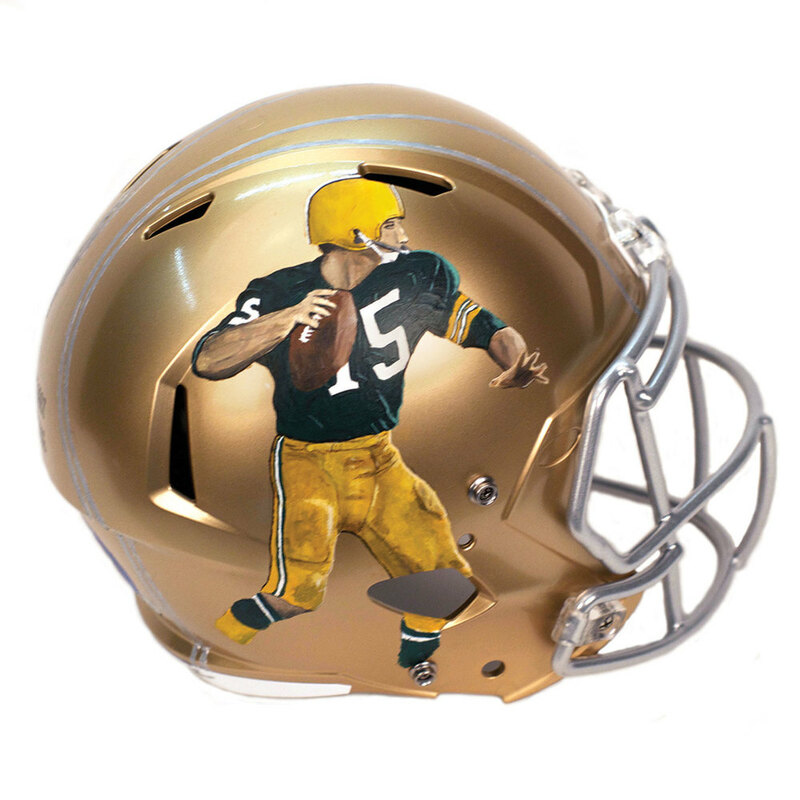 After I finished the painting the helmet was sent to Bart Starr for him to look at in person. The helmet will now be signed by Bart and auctioned off by Rawhide in the near future. If you would like to learn more on this project read the Green Bay Press Gazette Story or watch the WFRV News Story below.